Australian membership to IODP funded for another 5 years! This is huge news for all those Australian and New Zealand based marine geoscientists who are involved in IODP – the world’s largest marine geoscience program. Researchers (including graduate students) are able to apply to sail on the expeditions and also bid for generous post cruise funding through the program. 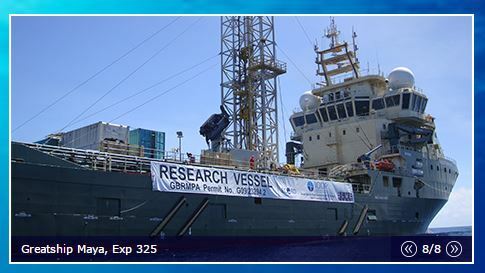 I have been involved in two IODP Expedition’s (Tahiti and the Great Barrier Reef)and it is a fantastic program that allows us access to sophisticated ocean drilling technology. This is also great timing as the next 5 years will see numerous exciting proposals being drilled around the Indo-Pacific. So stayed tuned and get involved!